All photos by Crystal Zevon of Searching for Occupy. 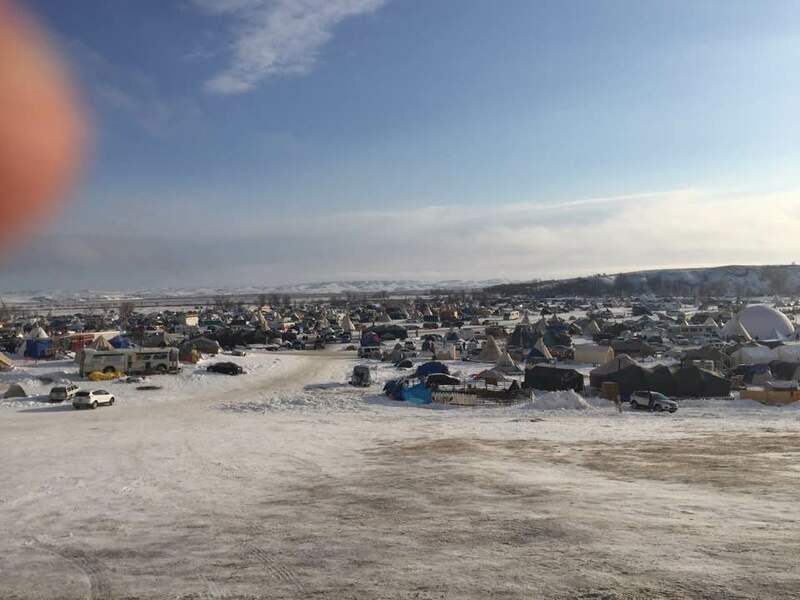 As we write this newsletter, we are driving to North Dakota to volunteer at Standing Rock. We have been wanting to go for many months but could not because of our commitment to organizing to stop the Trans-Pacific Partnership (TPP) and our political work outside of Popular Resistance. We were planning to join a team from Baltimore in late December, but recent events made us decide that it was more important to go ourselves now. For a while, a profound sense of the importance of this moment has been growing within us. There are and have been many fights against fossil fuel infrastructure, but this one is different. 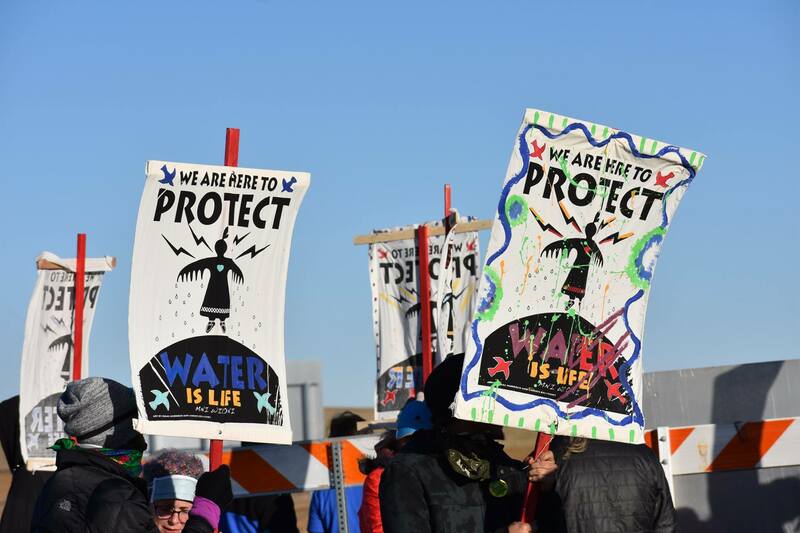 Given the history of the country, the crises we all face on many levels and the direction that we are going – growing revolt and an increasingly repressive government – the fight at Standing Rock feels like a major turning point. As we wrote last week, the future depends on us and what we do. Click here to learn how you can stand with Standing Rock. What is happening in Standing Rock is powerful on many levels. The resistance efforts are courageous and persistent. The solidarity is widespread. And the struggle there has the potential to be a turning point in five hundred years of American Genocide, in the fight to protect the planet and to set the stage for the years ahead. Last April, the Standing Rock Sioux and other local tribes set up a blockade to the construction of the Dakota Access Pipeline (DAPL). At that time, Ladonna Brave Bull Allard, one of the principal organizers, said, “A ‘spiritual camp’ will be set up starting Saturday at the point where the proposed pipeline would cross the river, and the tribal members plan to stay and protest indefinitely.” Participants drew a very clear line and said that they would put their bodies on it to stop the DAPL. The camp has been maintained ever since and has now grown to be multiple camps. In an historic convergence, hundreds of Indigenous tribes have joined together in solidarity. Thousands of people from across the country are at the camps and hundreds of people have taken direct action to slow or stop construction of the pipeline with almost 600 arrested. They have faced mercenaries who attacked them with dogs. They have been sprayed with tear gas and pepper spray and shot with rubber bullets. More recently they faced water cannons in freezing temperatures and concussion grenades that caused severe injuries and nearly killed a few people. 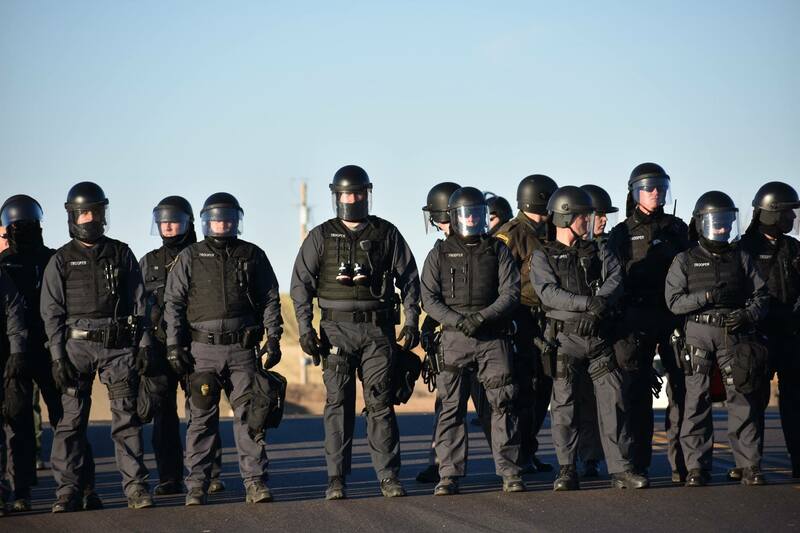 The nonviolent discipline and persistence of the Water Protectors is remarkable for their courage in the face of retaliation by land owners, police and private mercenaries. Now they are preparing to stay over the winter. Recently, another point of conflict has arisen. The US Army Corps of Engineers has issued an eviction order beginning December 5. 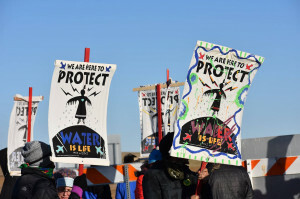 The Governor of North Dakota, Jack Dalrymple, has issued an evacuation order with the ridiculous justification of concern for the Water Protectors’ safety. If he was truly concerned about safety, he would take action to stop the pipeline and send the police home. 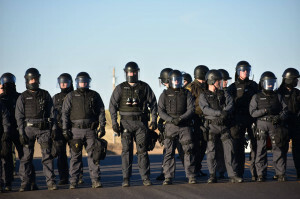 Instead, he is calling in the national guard and threatening to cut off essential services to the Protectors. The Water Protectors correctly state that the land is theirs by treaty and that they are not leaving. If they leave, the pipeline will be completed quickly because there is only a small portion left. 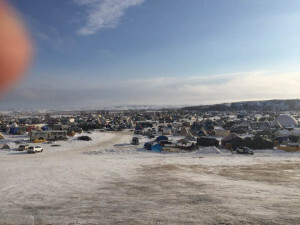 To support them, thousands of veterans are planning to arrive on December 4, Cuban-trained doctors are on their way and more people, including many Popular Resistance activists and readers, are headed to Standing Rock. This is a critical moment. We cannot predict what will happen next week, but one thing we know. In the past when Indigenous people were exploited and attacked by the US government, they were basically alone against the state and they suffered greatly for it. This time, they are not alone. Their courage is a magnet that draws people to them. 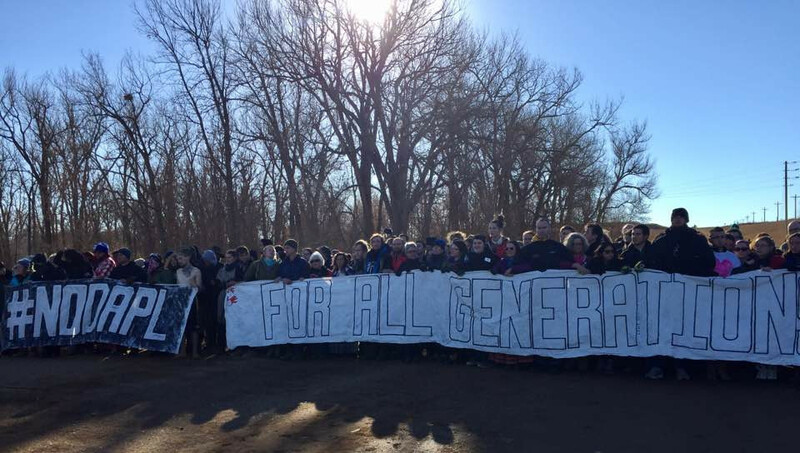 Standing Rock has created an historic gathering together of tribes and non-natives. Come Monday, the state will face veterans and settlers taking action in support of the Indigenous-led resistance. It is impossible to predict the outcome. A crisis moment may arise this week in which the state chooses to attack Water Protectors and allies. And if they do, many more people may be injured. Some may die.The public backlash from that could be widespread and powerful. People across the country have their eyes on Standing Rock. This creates a dilemma for the state, really a lose-lose situation: aggressive action against peaceful protesters will grow the resistance and inaction will displease oil companies and their investors who want to complete the pipeline before January. If the state decides to back down for now and let the tension subside, it will be the task of allies to continue to support Water Protectors throughout the winter so that there is never a moment when the camp is vulnerable and the state can take action. 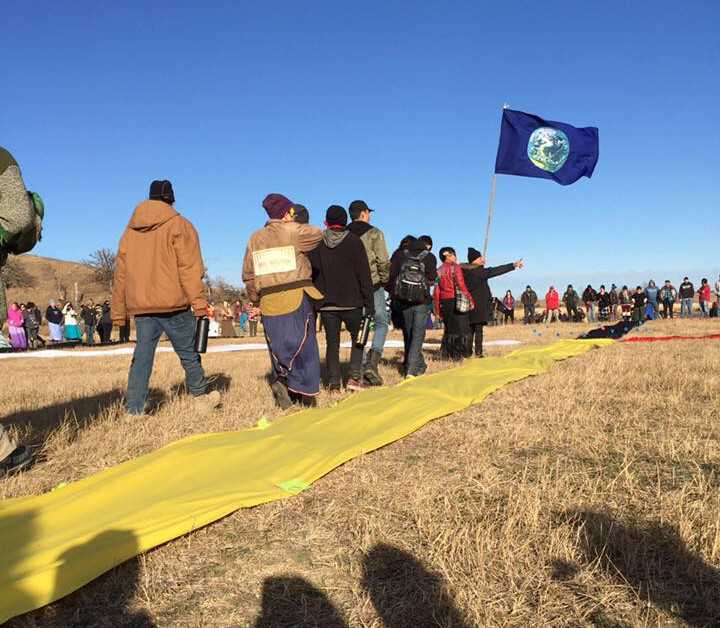 If action is delayed until after the inauguration of President-elect Donald Trump, who is an investor profiting from the pipeline, and he then cracks down on the Water Protectors, it will create an even greater backlash. If Trump has concerns about the current level of protest, this could result in such a uprising that he can’t leave the White House. It is important to recognize that we never know how close we are to victory. When we are winning, we must escalate our resistance until we are certain we have won. This can be the hardest part because it requires persistence through difficult conditions and at times when attention is turned elsewhere. And in social movements, it is rare for the movement to be credited when they succeed. Opponents will often find an excuse to justify their withdrawal to make it appear that they made the choice to back down. This is to be expected. What happens at Standing Rock could set the stage for years to come. We can end American Genocide by also supporting Native American sovereignty and treaty rights and reparations for the harm that has been caused by settlers. If the battle is won at Standing Rock, we can take that level of resistance to other front lines around the country to oppose new carbon infrastructure. And if the state backs down, we can build on that success to say that we will rise together every time you threaten us. If the battle is not won and the state takes aggressive action, we must not let that deter our resolve either. We are fighting for our lives and the lives of our children and those who come after us. If we persevere, then one day we may truly be able to stop the machine and create a new world. The only way to succeed is by trying. This is either the beginning of the end or the beginning of a new possibility. It is an environmental protest and also a protest to honor laws and treaties that were broken but not forgotten. It is a protest from a people that have lost so much but hold what remains against a national forgetting of harmony, peace, love and gratitude to Mother Earth. What makes this protest different? To me it is the dedication and persistence of a nation of Indians. What other group would stand this difficult course of abuse and very harsh weather over so many months? Immediate gratification has been the meme of most of non Indian America. The Indians are teaching us what it means to think 7 generations in the future and they are demonstrating what it means to put yourself on the line not for yourself but for all human beings. Losing this fight will spell the end of the thread of fearless virtue and the beginning of a decadence and self-centeredness unrivaled in history.